During our recent Heartfelt Stampin Up Event in Brissie, several of the presenters, myself included got to have a use some of the up and coming product to be released in January 2013. 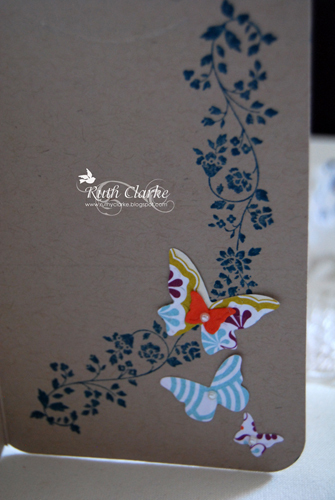 I love the fresh look of these papers and 1/4" satin embossed ribbons. 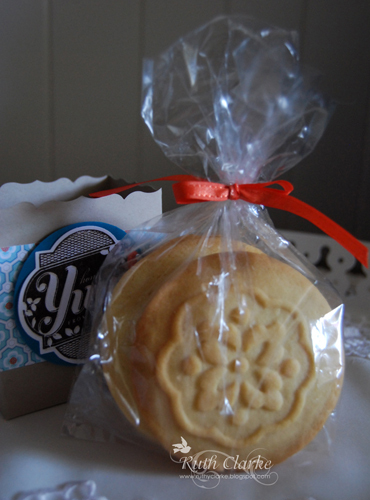 To me the selection of product spoke of Country Cosy which influenced my idea of Boxed Cookies Gift set. Going a little backwards in my presentation of particular project order as this was the final project I shared during my presentation. The cookie Presses come in a set of 3 with the wooden handle. I suggest keeping your cookie press dusted in flower before you press it into your cookie dough each time. The silicone cookie presses wash up very easily in warm soapy water, do not wet the wooden handle of course. I used the purple press from this set. These can be found in the main annual stampin up catalogue. I package them in a plastic -gusset style bag, secured to keep the freshness with a cute satin bow. 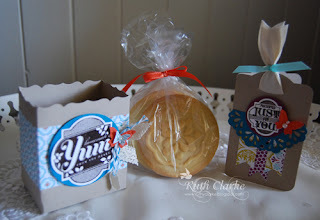 I trimmed my Party Favour Box with some of the sneak product DSP using some Multipurpose adhesive sheet from Stampin Up. I've decorated the front of the box with the Stamp - Friendship Preserved and heat embossed with Sugar and Spice scented embossing powder. 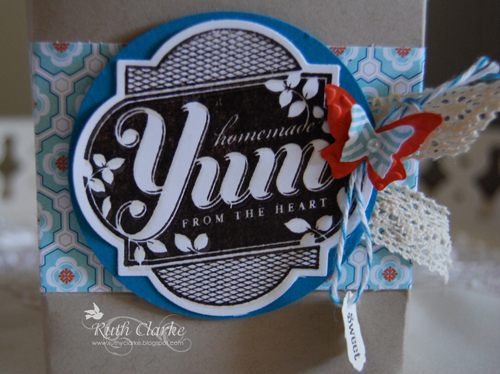 I also teamed this project with a matching card that I formed using the Bigz Two Tags die- I simply placed a piece of folded cardstock along the long edge of the tag die just before the outside cut line. Here is the finished card and the inside. 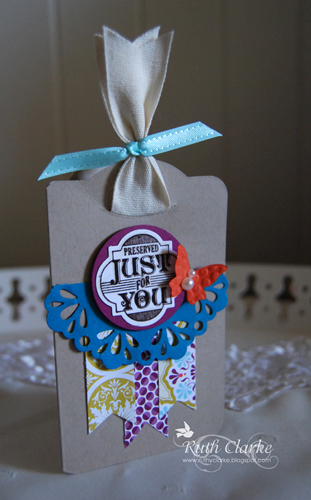 Well I trust you have been inspired by another share from my Brisbane Heartfelt SU presentation- Homemade Gifts.